Providing you the best range of ss dampers and stainless steel dampers with effective & timely delivery. 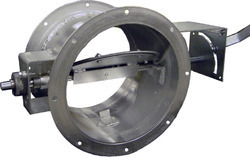 With a team of trained professionals we are able to manufacture, supply and trade best-in-class SS Dampers. These SS Dampers are designed in numerous sizes and designs to fulfill the diverse needs your clients. Further, the offered products are available in the market at most reasonable rates. Our Stainless steel Dampers are widely demanded by our customers for their excellent design and quality. Before dispatch, all our Stainless steel Dampers are inspected on quality standards set by our quality team to guarantee that our clients have quality products. Stainless steel Dampers are durable in nature. SS Dampers offeredcan be made available by us in different diameter options of DN40 to DN250 as well as in pressure ratings of up to 1.6Mpa. 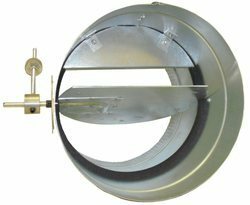 These dampers are suitable for use with sewage, fresh water, weak acid and other liquid fluids. 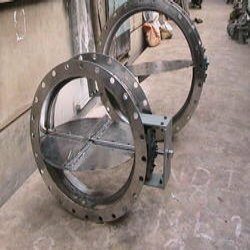 Some of its features include available in working temperature range of 20 to 135 degrees; choice of different body finishes like grey cast iron, cast steel and others; light weight and easy to maintain; compact structure finish; allows for quick 90 degree on-off operations; allows for perfect sealing support without leakages; product made to undergo pressure test as per industry standards for flawless performance. Looking for SS Dampers ?